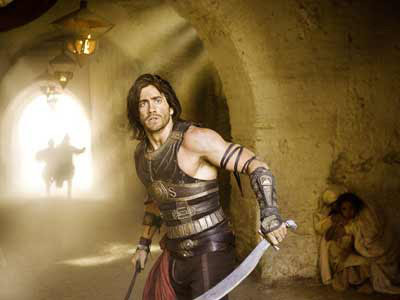 The movie Prince of Persia The Sands of Time will oppose Jake Gyllenhaal as Dastan versus Ben Kingsley as Nizam the vizier. Paparazzi in the Moroccan desert? Reese Witherspoon really wants the world to believe she's actually dating Jake. I think, and sorry to say it, that this film looks rubbish. That jake dude, far too mature for the part. the guy who plays the vizier is going to be far to creepy, and not in a good way. and though the scenery looks rather awesome i just think its going to be let down by poor acting. just a feeling though. and the new game just isnt any good either. not enough fighting. and the controls are EAAASSYYYY. not the prince of persia, just some cheesy smuck one liner git who spoils the whole game. im going to have to go cheer myself up about the whole thing in a while and go play the prince of persia sands of time, warrior within and two thrones. I don't really know on what to say. Even though the actors might not be great lets keep our heads up high to see if the movie stays truthful to the games. hey I`m glade that they are makeing movies about games now,and FYI mo fos he looks right for the actor. hmmm, jake's looks in the picture doesnt match the appearance of the prince in the sands of time game, but rather the two thrones when the prince is shirtless. And jake needs more well built six pack abs and arms if this movie wants to draw more attention. i believe ppl are more happy watching the movie if the movie's FX, soundtrack, settings, and cosmetics is able synchronize with the games. But i believe it'll be a fine movie, as long as the story is there... unlike Max Payne. I am a fan of the prince of persia game series. I was really exited to know that pop is back in a movie, But Jake shattered it. That guy should play the POP series first to really get into the role. And....he can't be the prince! People, please don't come along with your bullcrap thinking there will be poor acting in this movie. 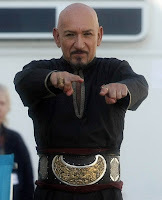 Jake Gillenghal is a fantastic and well rounded actor, and the ball guy's name is Ben Kingsley AN OSCAR WINNER. I am excited for this movie,can't wait to watch it. Would it really have been that bad to get an actor that actually looks Persian? Even that Indian guy suggested earlier looks much more Persian. 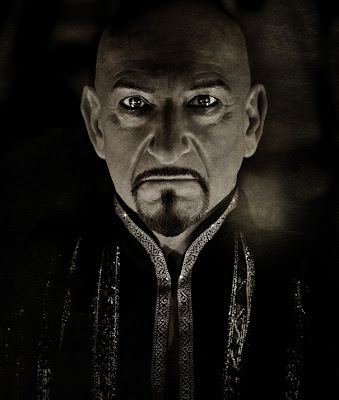 At least Ben Kingsley looks like he'd be Persian (he played a Persian before in House of Sand and Fog). OMG, I m so not watching this movie since I dont wanna loose my addiction for the game! Who is this moron looking guy anyway who plays the prince? He doesnt even look middle eastern, he is not rugged, enigmatic, handsome or sharp looking!!! Take him to play the prince in Rapunzel as he fits in better since he looks typical western guy! Grosssss!!! OMG...Someone please tell me this is just a bad joke and that they really didn't cast Jake Gyllenhaal as the Prince! Seriously?! Don't get me wrong, I think Jake is a great actor, but in my opinion, he doesn't even come close to fitting the Prince's character of a pretty boy, rebel warrior, nor does he have the right body image.